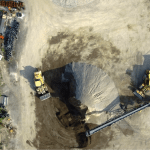 Using UAVs for a Construction Survey | Canadian UAV Solutions Inc. 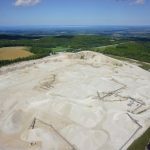 Using UAVs for a Construction Survey | Canadian UAV Solutions Inc. If you want to use a UAV for a construction survey, then you’ve got a fairly big project on the go that has to be done right. The data that can be gleaned from images generated by a drone can be a big help to engineers, architects, and land surveyors. What you need is quality shots of your site with no interference from the province hindering your construction survey or the work to come. The images you need must be up to scratch, and the company you’ve approached will have a catalogue of images to peruse and ensure professionalism. If you’re looking for a survey company in Southern Ontario, we at Canadian UAV Solutions Inc. are here to help. Our images speak for themselves. To ensure there are no issues with the legality of your construction survey, our drone operators all carry either a pilot permit or a Civil and Commercial UAV Training Certificate that’s been issued by Transport Canada. As well, they’ve all also earned a Restricted Operator Aeronautical Radio Licence that was issued by Industry Canada. With the legalities sorted out, there’s still room for a little freedom to maneuver while creating your construction survey. While the survey is being conducted, you can be on site to see what the drone operator sees and call the shots, so to speak, directing the photography to your liking. As well, if you need additional shots of the same location, we can set that appointment. Our equipment travels easily, and we’re happy to go almost anywhere in Southern Ontario.